when you find the piece becomes clear + the syrup thicker you may pot them for use. 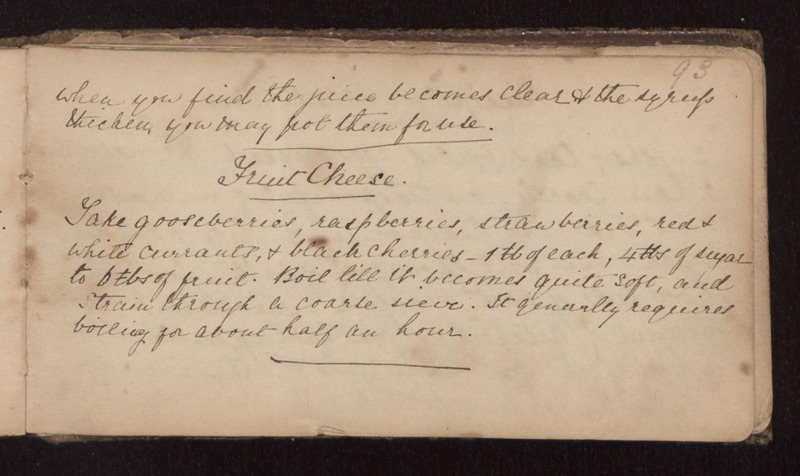 Fruit Cheese Take gooseberries, raspberries, strawberries, red + white currants, + black cherries- 1 tb of each, 4 tbs of sugar to 6 tbs of fruit. Boil til it becomes quite soft, and strain through a coarse sieve. It generally requires boiling for about half an hour.